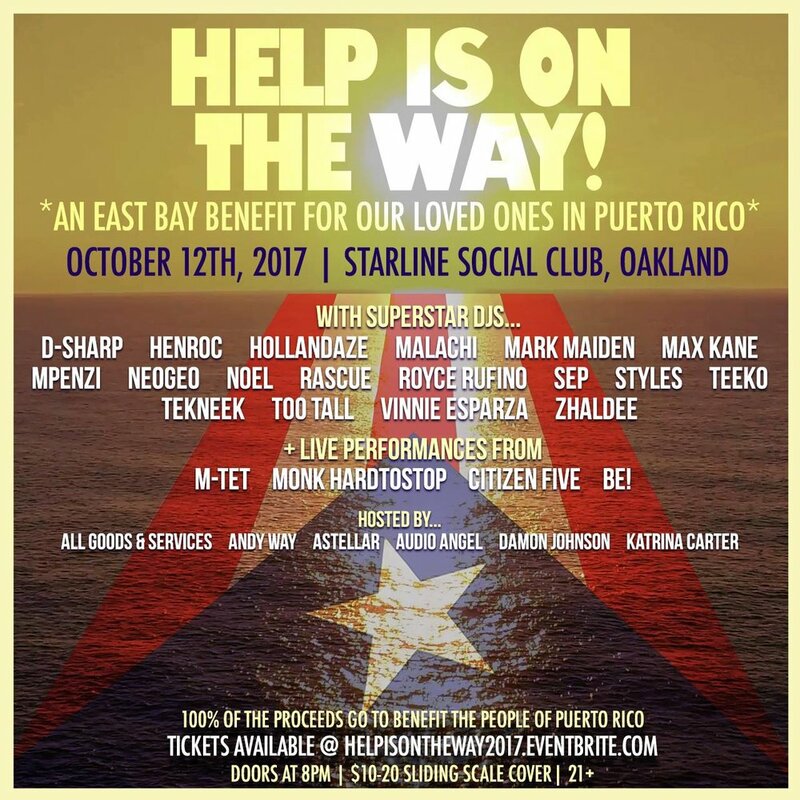 CitizenFive @ "Help Is On The Way: An East Bay Benefit for Puerto Rico"
The East Bay community of artists and creators has come together for Puerto Rico in a big way. On Thursday October 12th, world-renowned DJ Platurn is throwing a massive bash at Starline Social Club in Oakland with a who's who of Bay Area DJs, acts, & hosts. Please consider attending, supporting, & spreading the word to help out our fellow brothers & sisters in PR. Pre-sales are available (sliding scale) & there will be tickets at the door as well.